cj Sez: Today’s guest blogger is mystery author Martha Crites, who gives us some great insights into how she created that all-important sense of place in a first draft. Take it away, Martha. The 'toon is from Facebook. My desk faces a bank of windows on the second story of my home. The view reaches over trees and rooftops to a bank of clouds where a small triangle of Lake Washington echoes the gray sky. July in Seattle still doesn’t look like summer. When I first began writing, Julia Cameron’s The Right to Write was one of the most helpful books on my shelf. She begins each chapter with a lusciously over-written description of her setting. And I believe she does this purposely. 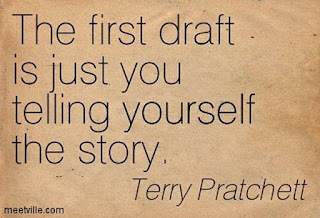 I often use this as an exercise at the beginning of my writing sessions, as I did in the first paragraph of this blog. Observing my surroundings lets me drop into the story. What better invitation to pay attention to the details I might otherwise fail to note. When I pay greater attention to writing about the physical world, I open myself to magic and metaphor. 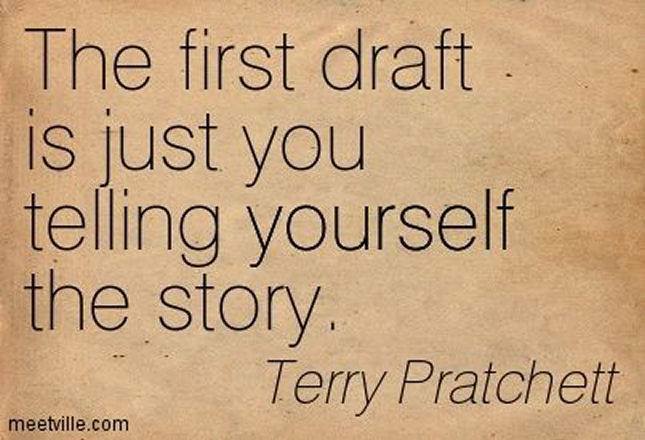 So I give myself permission to write everything surrounding my story. Editing is for later. But edit I must. I write mystery novels and take the commitment of telling a good, page-turning story very seriously. So I set out to season my writing with place and use it to reflect my character’s emotions and experiences. Place should provide more than a backdrop for plot. Place not only sets the mood, it can deepen the psychology of the story. Donald Maas, literary agent and author of Writing the Breakout Novel, gives writers this exercise to encourage more compelling work: Return to a previously established setting and show how your character’s perception has changed. With some trepidation, I looked back at my novel through the lens of his method to deepen the psychology of place. Would my book measure up to the bar he had set? 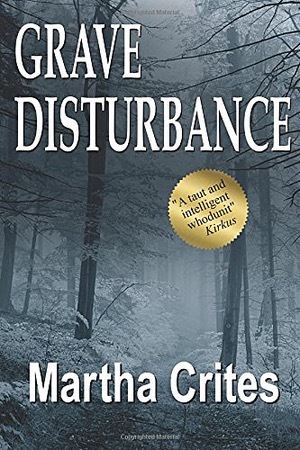 In my novel, Grave Disturbance, protagonist Grace Vaccaro, evaluates people with serious mental illness in Seattle, a stressful job that brings her to dark corners of the city, but her home is thirty miles away in the bucolic countryside. Whew! Perception changed. So writing through my senses helps me to get out of my head and into the story. Then later I return and make it work even harder for the story. So if you would like to help the setting rise above mere background, try these two exercises. Martha Crites has worked in the community and inpatient mental health field for twenty years and taught at the Quileute Tribal School on the Washington coast. She lives with her husband in Seattle. When she isn’t working and writing, you will find her walking . . . or volunteering on the Camino de Santiago in Spain. 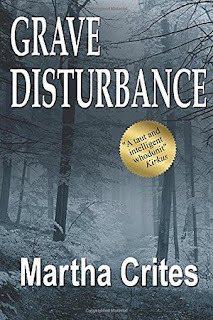 Adam Woog of the Seattle Times writes: Martha Crites’ debut, “Grave Disturbance” is a dark and compelling story set mainly in the Cascade foothills. Grace Vaccaro is a mental-health evaluator (as is the author) caught up in bad business after a filmmaker, working on a documentary about native land rights, is murdered. Not surprisingly, one of the book’s strongest elements is its protagonist’s skill as a mental-health professional in teasing clues out of other people’s heads. 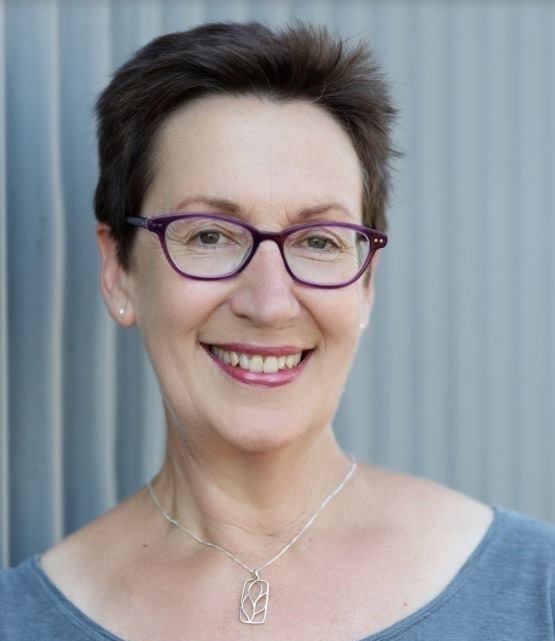 cj Sez: Because a well-developed sense of place arouses memories and personal feelings, it is a powerful tool to draw your reader deeply into the story. Thanks so much for this wonderful post, Martha. I really appreciate the exercises, and I love the title to your latest mystery. Congratulations on Grave Disturbance being named a finalist for the 2016 Nancy Pearl Award! All best wishes for super sales and rocking reviews. Okay, you-all guys keep on keeping on, and I’ll try to do the same. Thanks for stopping by. By the way, how do you handle those delicious details and sense of place?